beach. The waves are gradually eroding many of the rocks that sit proudly on the shoreline and the water has created spectacular sculptures for photographers. 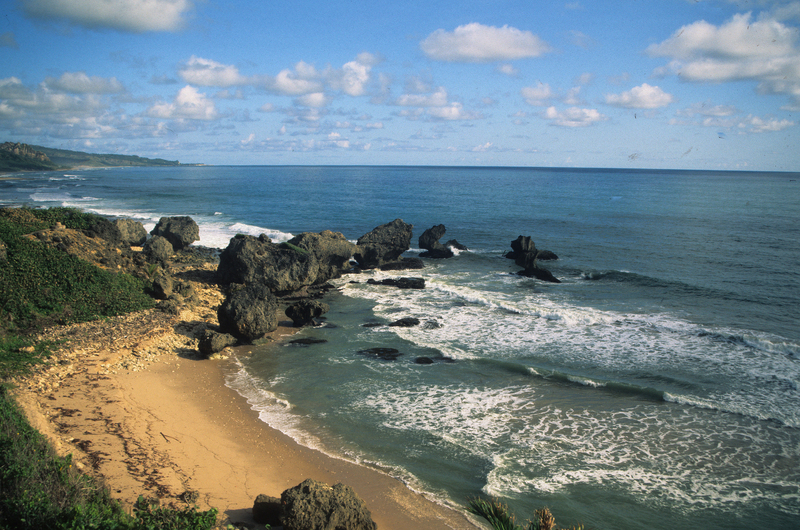 With palm trees along the coast and an absence of large-scale development, Bathsheba is an ideal relaxation stop for the busy traveller. down to the Atlantic. The Round House Inn is also recommended for its tasty meals with ample portions for the hungry. found here. Although the stalagmites and stalactites are impressive I believe that the cave is overpriced for what you see.